This is an authoritative, comprehensive book on the fate of drug molecules in the body, including implications for pharmacological and clinical effects. The text provides a unique, balanced approach, examining the specific physical and biological factors affecting the absorption, distribution, metabolism and excretion of drugs, together with mathematical assessment of the concentrations in plasma and body fluids. Understanding the equations requires little more than a basic knowledge of algebra, laws of indices and logarithms, and very simple calculus. A companion web site contains additional illustrations, further equations and numerous worked examples. Whilst this book has its roots in the highly acclaimed book of the same name, written by Stephen Curry nearly thirty years ago, it is essentially a new book having been restructured and largely rewritten. This readable and informative book is an invaluable resource for professionals and students needing to develop a rational approach to the investigation and application of drugs. Stephen H. Curry is an independent consultant, teacher and writer. With extensive experience of academia and the pharmaceutical industry, he is Professor of Pharmacology and Physiology at the University of Rochester, having held appointments at the University of London, the University of Florida, and with Fisons and AstraZeneca. He has written 4 books and over 150 publications in scientific journals, including prize-winning papers and essays. He was the founding co-editor of the Wiley-Blackwell Journal Biopharmaceutics and Drug Disposition. Robin Whelpton is a senior lecturer at Queen Mary University of London with over thirty years teaching experience. He has written and contributed to a number of books, including co-authoring the successful Fundamentals of Analytical Toxicology published by Wiley-Blackwell in 2008, and published extensively in scientific and technical journals. 1 Chemical Introduction: Sources, Classification and Chemical Properties of Drugs. 1.2 Drug nomenclature and classification. 1.4 Physicochemical interactions between drugs and other chemicals. 1.5 Law of mass action. 2 Drug Administration and Distribution. 2.2 Drug transfer across biological membranes. 4.4 Relationship between dose, onset and duration of effect. 4.5 Limitations of single-compartment models. 5 More Complex and Model Independent Pharmacokinetic Models. 5.3 Curve fitting and choice of most appropriate model. 6 Kinetics of Metabolism and Excretion. 7 Further Consideration of Clearance, and Physiological Modelling. 7.2 Clearance in vitro (metabolic stability). 7.5 In vitro to in vivo extrapolation. 7.6 Limiting values of clearance. 7.7 Safe and effective use of clearance. 8 Drug Formulation: Bioavailability, Bioequivalence and Controlled-Release Preparations. 8.4 Formulation factors affecting bioavailability. 9 Factors Affecting Plasma Concentrations. 9.2 Time of administration of dose. 9.3 Food, diet and nutrition. 9.9 Ambulation, posture and exercise. 10.2 Methods for the study of pharmacogenetics. 10.6 Alcohol dehydrogenase and acetaldehyde dehydrogenase. 11 Developmental Pharmacology and Age-related Phenomena. 11.2 Scientific and regulatory environment in regard to younger and older patients. 11.4 Physiological and pharmacokinetic processes. 11.5 Body surface area versus weight. 12 Effects of Disease on Drug Disposition. 12.2 Gastrointestinal disorders and drug absorption. 13.2 Concentration–effect relationships (dose–response curves). 13.3 The importance of relating dose–effect and time-action studies. 14 Pharmacokinetic/Pharmacodynamic Modelling: Simultaneous Measurement of Concentrations and Effect. 15 Extrapolation from Animals to Human Beings and Translational Science. 15.3 Dose-ranging versus microdosing studies. 16 Peptides and Other Biological Molecules. 16.5 Plasma kinetics and pharmacodynamics. 16.6 Examples of particular interest. 17.4 Interactions involving drug distribution and metabolism. 17.5 Extent of drug interactions. 17.7 Further examples and mechanisms of a wide range of drug interactions. 17.8 When are drug interactions important? 17.10 Predicting the risk of future drug interactions with new chemical entities. 18 Drug Metabolism and Pharmacokinetics in Toxicology. 18.3 Dose–response and time–action with special reference to toxicology. 18.4 Safety studies in new drug discovery. 19 Drug Monitoring in Therapeutics. Appendix: Mathematical Concepts and the Trapezoidal Method. 1 Algebra, variables and equations. 5 Calculating AUC values: the trapezoidal method. 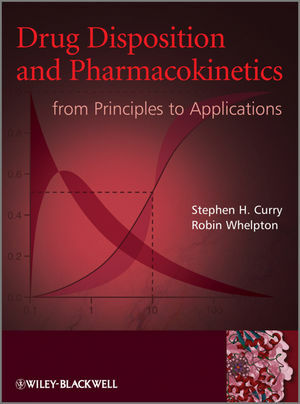 "Although there are numerous books on pharmacokinetics, the broad scope and thorough coverage of this one make it an excellent choice, either for a formal class or for self-study. Each topic is carefully presented, from the simplest starting point through increasing levels of complexity. The text provides a unique, balanced approach, examining the specific physical and biological factors affecting the absorption, distribution, metabolism and excretion of drugs, together with mathematical assessment of the concentrations in plasma and body fluids. This readable and informative book is an invaluable resource for professionals and students needing to develop a rational approach to the investigation and application of drugs. The broad scope of this book is intended to support its use by undergraduate, graduate, and professional students new to the field, but also by even experienced biomedical scientists and healthcare professionals as a refresher and reference. These are ambitious goals. The breadth and depth of the treatment of disposition and pharmacokinetics clearly meets the latter goal.